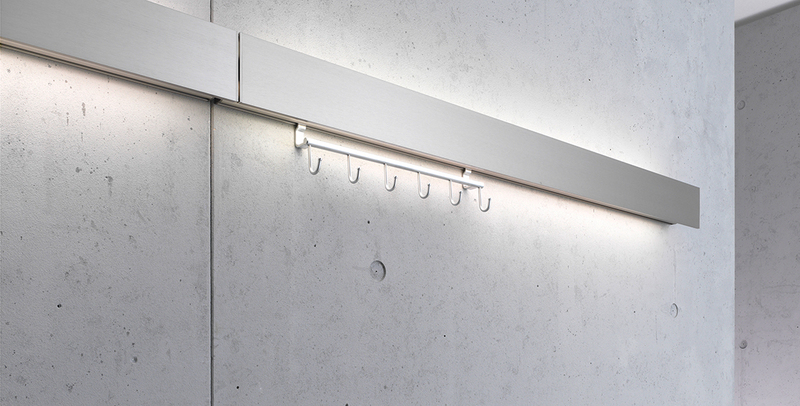 The balance between design and function makes the GERA Leuchten coat rack light a subtle eye-­catcher. 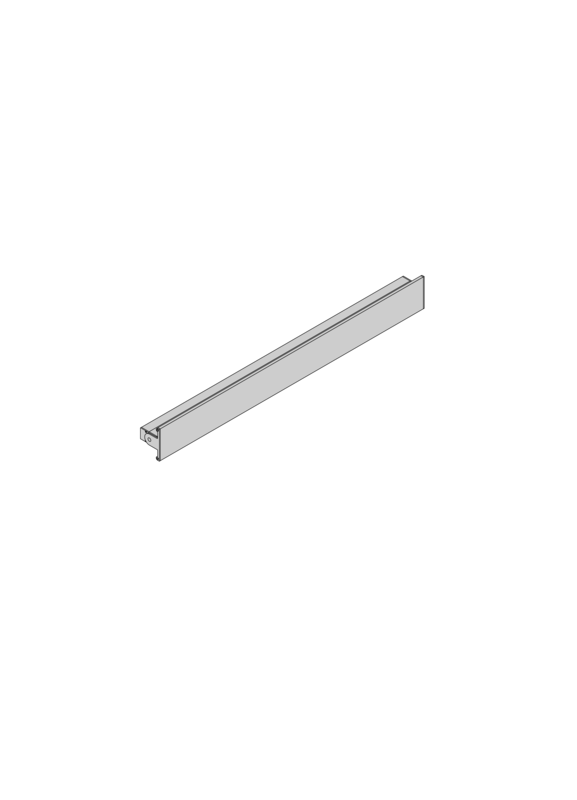 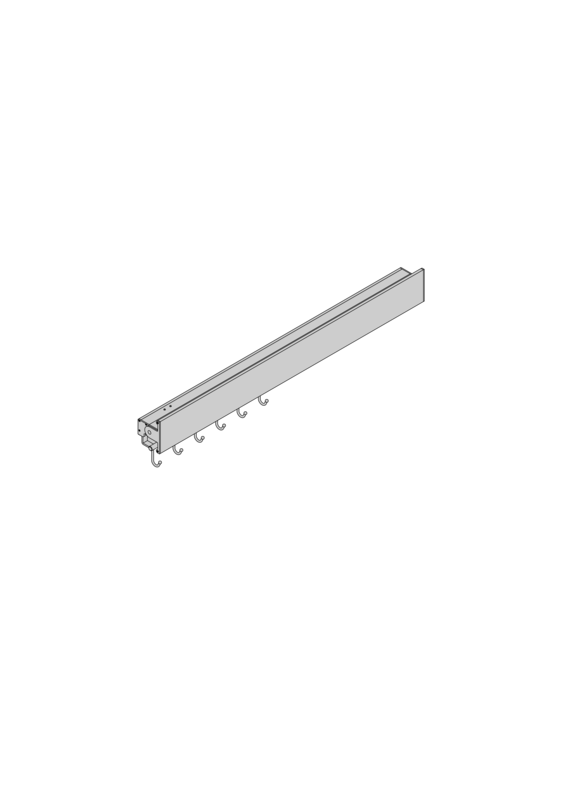 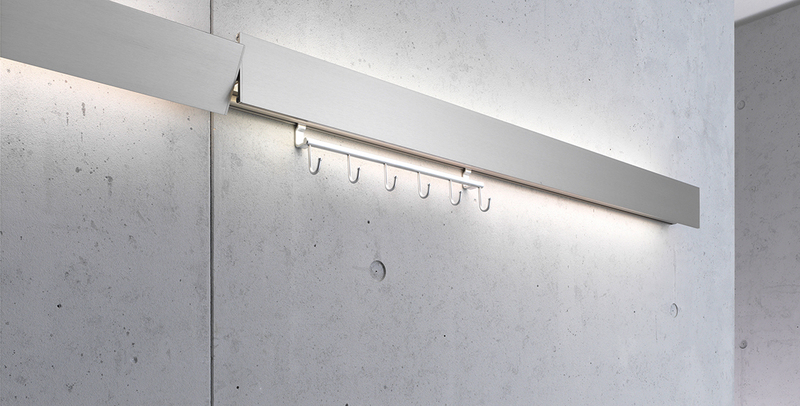 The linearly designed light accommo­­dates sliding hook racks onto a concealed rail. 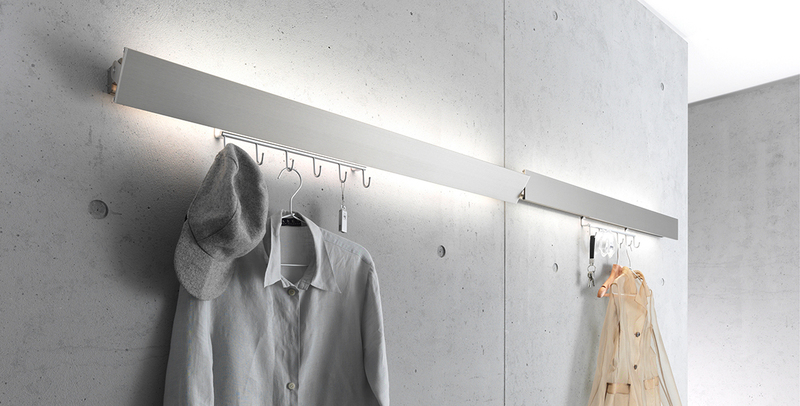 Creating, for example, a robust coat rack or a well-­equipped kitchen wall. 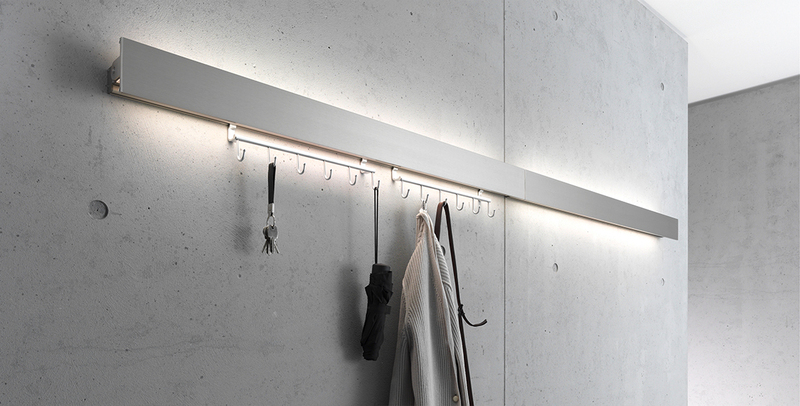 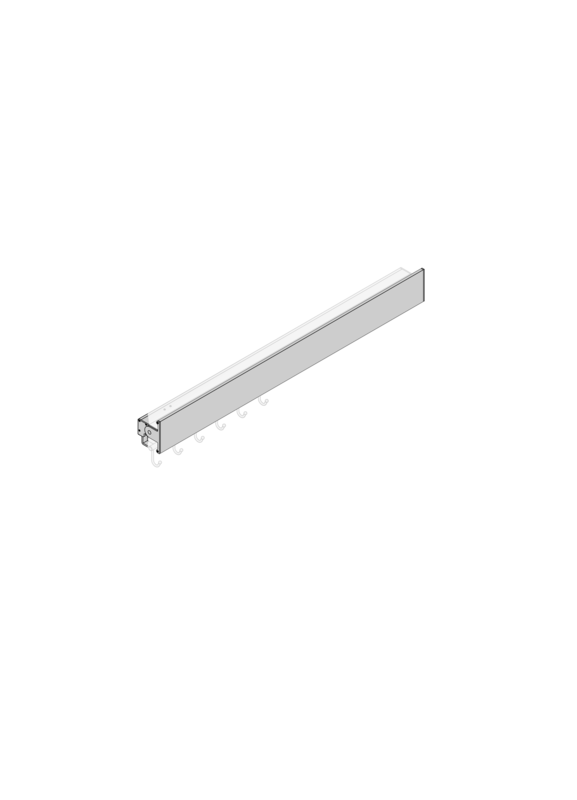 The coat rack light can be planned in individual widths and provides a design high­light both in small and larger niches or wall segments. 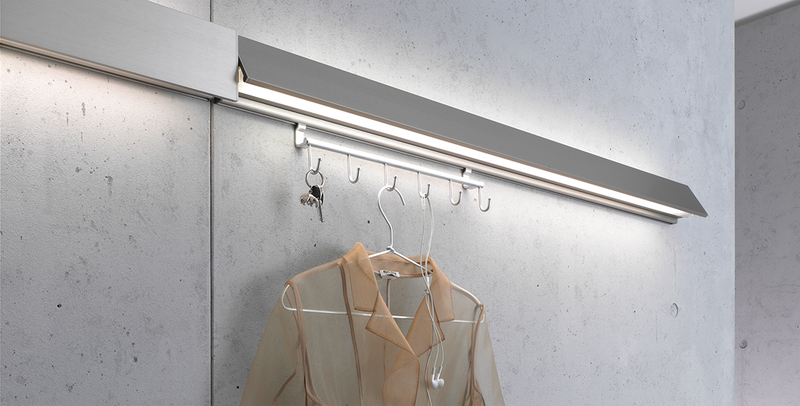 The addition of several light rails creates an impressive, linear aligned furniture and illuminating effect in longer corridors or reception areas.